We have a Dachshund named Joey. Joey is hitting his middle years and has slowed down (and rounded out). He no longer plays like a puppy or runs quickly after squirrels, but he is still the embodiment of love. I have never been loved so well as by this dog! Every time I walk into the room (even if I was only gone for a minute), he acts like I am his long, lost friend returning from a lengthy trip. Every time I sit down, he is at my feet, wanting to be in my lap. His is my constant companion and gentle reminder of that love comes in many different forms. The funniest thing Joey does consistently is to find a comfortable place to sleep at night. We just bought new bedroom furniture and of course, I needed a new comforter, pillows, etc. to dress it. The decorative pillows all go on the floor at night, usually jumbled and in no particular order. I didn’t realize that these pillows were important to Joey, until one morning while I was still in bed. As soon as I moved and stretched, a thumping sound rose from underneath the pillows on the floor. It took me a minute to figure out what it was, because there was nothing to be seen. Only heard. Thump, thump, thump. As I got out of bed, the thumping increased dramatically. Instead of a gentle sound, it sounded just like the insistent beat of African drums building up to a crescendo of primal tempo. What was causing that noise? I pulled back one of the pillows scattered on the floor and discovered the answer. It makes me smile every morning to hear the heartbeat of love. When his tail hits the floor as soon as he hears me move in the bed, it reminds me that love is everywhere. Especially in the tail of a dog. 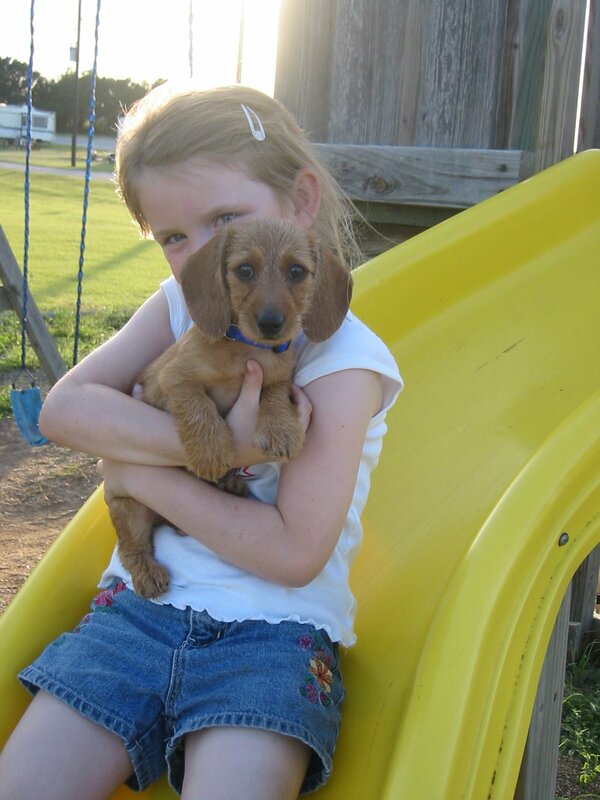 Now you “know” my love affair with Dachshunds (aka George, my 4-legged Anam Cara!!). I so understand that love these dogs can impart. I can almost see your Joey’s grin from under the covers! Cindy – I was hoping you would see this post! Joey is so proud of himself when he creates his cave of pillows. So cute!